It is not often that we have a chance to rewrite history. This is one of those instances where it is possible to do so, not by some revisionist scheme, but with new facts, previously unknown. What I am referring to is the history of the Ur-Leica. A lot of what we know about the camera is actually false. I have written about this topic on several occasions on this blog, and I, like so many, have been misled by the published findings of others. 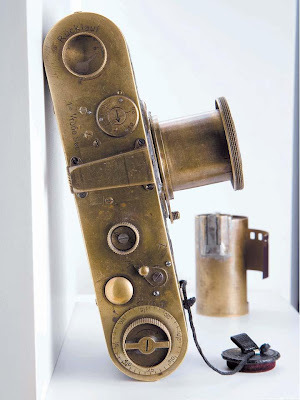 We do know the account of the events that led to the development of the initial prototype of the Leica, the Ur-Leica. I stand by my assertion that this camera was not the exposure testing device that Barnack made (see: HOW THE LEICA CAME TO BE http://gmpphoto.blogspot.com/2012/03/how-leica-came-to-be.html). It is with the many accounts of what happened after the development of the Ur-Leica that a lot of misinformation has been brought forth. 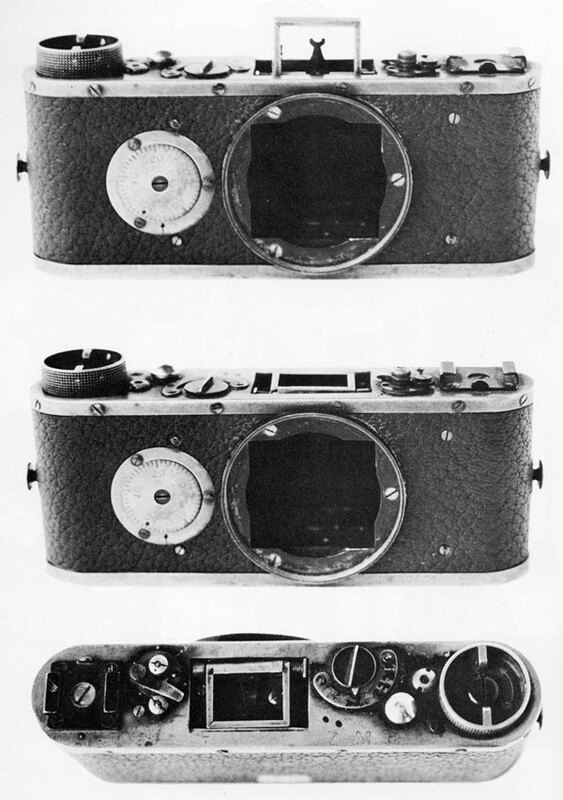 In spite of all the published information about a second Ur-Leica, there is and always has been only one example. 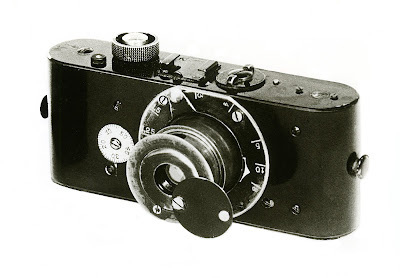 The account given by Gianni Rogliatti for instance, that claims that the original Ur-Leica was given by Oscar Barnack to Ernst Leitz II, and that he used a second version for himself is inaccurate. 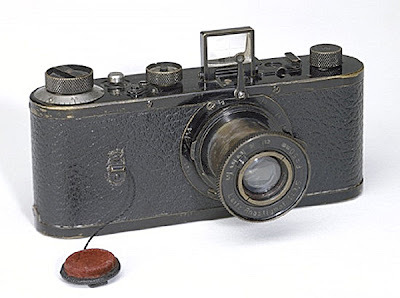 Also inaccurate is Rogliatti’s claim that this camera had been in the possession of the Deutsches Museum in Munich and was later returned to Oskar Barnack’s son Konrad, who supposedly later sold the camera to a collector in the US. 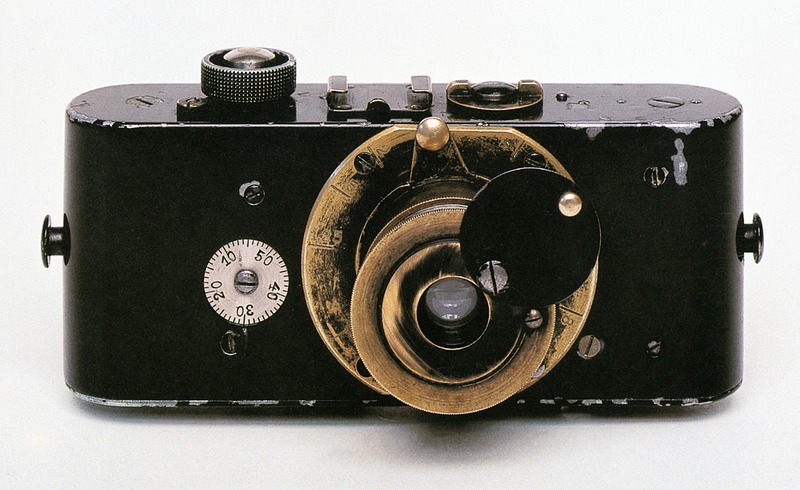 It is correct that Konrad Barnack did have a Leica camera that was at the Deutsches Museum for a while, and it is correct that this camera was later sold by him to a collector, but this camera was one of the preproduction, Null Serie (0-series) models made by Leitz prior to the decision to manufacture and market the Leica. This camera was the 0-series camera #105. The camera that was at the Deutsches Museum was not an Ur-Leica!!! It was 0-Series (or Null-Serie) camera No.105, which Konrad Barnack requested back from that museum and subsequently sold to Jim Forsyth of Florida. Many years later, Prof. Al Clarke of Columbus, OH and I bought out that collector, and Al kept No.105, which he later sold to another prominent collector, and Al also kept the large format camera that Oskar Barnack had used during his hikes in the woods, and which he found cumbersome and which motivated him to work on a smaller, handier camera, which led to the Ur-Leica. There is no solid proof whatsoever that there ever was a second Ur-Leica. References to a second Ur-Leica are always couched in the words "alleged", or "said to be", and this eventually creeps into the stories of superficial historians! The camera that Ernst Leitz took along on his visit to New York was the original and only Ur-Leica! Over the years Rolf has had a rather personal connection to Leica, much beyond anyone outside of the company. He explains that he bought his first Leica, a used model IIIc on February 21, 1949. In Rio De Janeiro, where he grew up. I still have that camera and the instruction booklet in Portuguese, the camera is still functional! Next I very naively went to the local Leitz representative, where a kind elderly gentleman (Paul Louis Toinndorf) explained to me that the distributor does not handle retail matters, which are the responsibility of the dealers, but he invited me in anyway and patiently demonstrated to me what one can do with a Leica, like using a wide-angle lens, a long focus lens, a close-up attachment, etc, none of which I could even remotely afford. He even very graciously offered to lend me such accessories, all of which endeared the man and his firm to me. Much, much later I learned that he had completed his apprenticeship at Leitz in the Hausertorwerk building, the very building where Oskar Barnack had his office, and he had met that legendary man in person! That warm treatment endeared the camera to me and created a loyalty that led to further acquaintances, all the way to the Leitz brothers and sister themselves, and even repeated stays at the Leitz villa Haus Friedwart. Bei der Leica handelt es sich nicht um die Ur-Leica, sondern um die Nr. 105 aus der Nullserie, die ab 1923 hergestellt wurde. Sie gehörte aber nie dem Museum, sondern war ihm von Oskar Barnacks Sohn Conrad von 1939-45 leihweise zur Verfügung gestellt. Am 30. 9. 1940 bat der Museumskonservator Theodor Konzelmann Conrad Barnack um Bildmaterial für einen Vortrag. Unter dem übersandten und am 30. 10. 1940 zurückerstatteten Bildmaterial befand sich auch ein Leica Dia welches die Ur-Leica darstellt. Ganz offensichtlich versäumte das Museum nicht , von dem Dia eine Kopie zu ziehen. 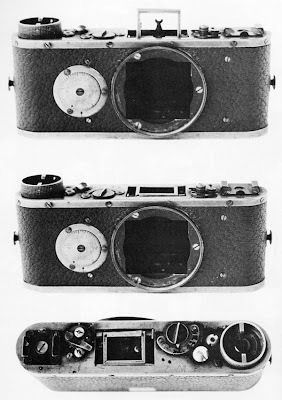 This, however, does not explain the differences between the camera on the picture from the Deutsches Museum and the known Ur-Leica that is in possession of Leica Camera AG. Considering that the picture was taken in 1940 or even earlier, it stands to reason that the differences, which are mostly cosmetic, occurred during the time after the picture was taken, especially if one considers that until relatively recently, the camera was handled quite often in a rather cavalier manner. The one and only Ur-Leica (by definition, it would not be an 'Ur-Leica' if there was more than one!) traveled around for quite a bit after the Museum picture was taken in 1940. For example, the former Leitz CEO Alfred Loew brought it to Rochester, NY in conjunction with a presentation he gave at a Photo History Symposium at George Eastman House way back in the 1970s, for which I organized the program. He left the camera with me for a week while he went to Washington, DC on business and retrieved it on his way back. Nowadays that camera is highly insured and it is treated with significantly greater caution and security. I can certainly confirm the relatively careless treatment of the camera from personal experience because I had the opportunity to handle the camera on two occasions during annual meetings of the Leica Historical Society. Once it had been brought by Rolf Fricke and another time by Dr. Wangorsch, then the curator of the Leica Museum in Wetzlar. We do know of the existence of another prototype of the Leica, the so-called third prototype. It is a camera visibly different from the Ur Leica and it is always shown without a lens. However, there is what should be considered a third prototype which is relatively unknown. There is a large, very well-illustrated book by the very personable Dr. Günter Kisselbach, an ear-nose-and-throat doctor in Wetzlar, who is the younger son of Theo Kisselbach, the erstwhile director of the original "Leica Schule". 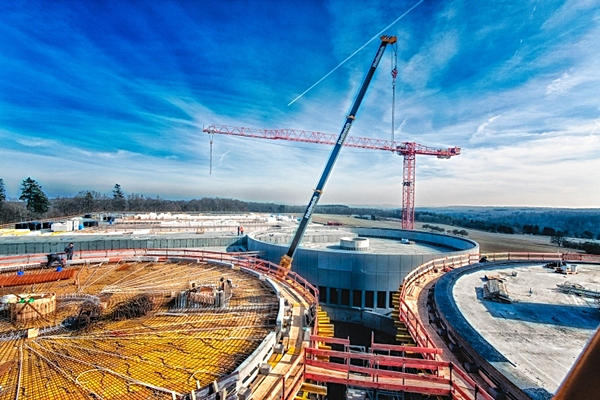 Guenther's older brother Wolfgang Kisselbach is the overall manager of the construction of the brand new purpose-built factory buildings and museum in Leitz Park in Wetzlar. The book is entitled "BARNACKS ERSTE LEICA" (= Barnack's first Leica"), and it features a camera in great detail that is very similar to the 0-series camera with the same optical finder, except that it is all brass with brown leather covering and has a different flat dial between the viewfinder and the rewind knob for setting the slit width (in mm) of the focal plane shutter. Evidently Kisselbach the father kept that camera when he retired and Kisselbach the younger inherited it, and he thoroughly studied it and had it disassembled and adapted for picture taking by expert repairman Ottmar Michaeli (who was one of my speakers at one of the LHSA Annual Meetings! ), all of which is beautifully illustrated in the aforementioned book. 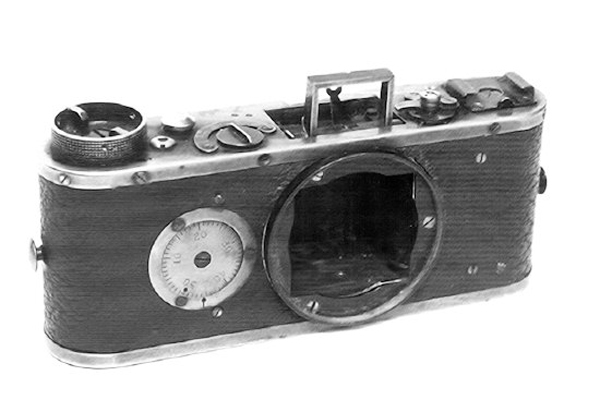 By "First Leica", Günter Kisselbach means Barnack's first practical camera (still not named 'Leica'!) after the Ur-Leica. On page 187 of that outstanding book there is a photo of "Prototyp Nr.3" in what is left of the Leica museum, which was plundered for sales when the company was about to go bankrupt. That camera has no lens mount, a folding, recessed open frame viewfinder frame on top and an exposure counter on the front of the camera. There is no rewind knob, and the accessory shoe is located where that knob would be. Since this camera is so very close to the 0-series cameras, one must assume that the so-called prototype Nr. 3 was made prior to it and I feel it is not wrong to refer to it as the second (not third) prototype. However, since no date for this camera has ever been established, this is simply conjecture on my part. What I can say with certainty at this point is that only one Ur-Leica was made by Oskar Barnack and that two other prototypes exist from the time prior to the 0-series cameras. If by chance I dig up any other interesting facts about the history of the Leica, I will report about it here. The following are photographs by German photographer Marlies Amling of Foto Amling in Weilburg, Germany. Her photographs are expressive, authentic, modern, yet timeless in their ability to capture these very special and personal times, photographs for a lasting memory. Leica Camera AG celebrated the official opening of its facility in Portugal today. The new building is still near the old site in Vila Nova de Famalicão. With an area of approximately 52,000 square meters (559700 square feet), the new Leica plant offers a roughly 30 percent larger space. Advanced production facilities and modern, highly efficient production methods provide additional ways of increasing capacity. 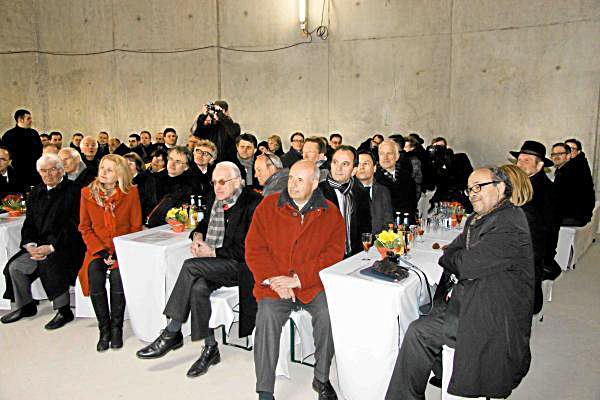 The total investment at the new site is approximately 23 million euros. The relocation to the new production and administration building is almost complete. During the opening celebration, Dr. Carlos Mira and Pedro Oliveira, CEO of Leica Aparelhos Opticos de Precisão SA, the Portuguese President Aníbal António Cavaco Silva, Dr. Andreas Kaufmann, head of the Supervisory Board of Leica Camera AG and Leica CEO Markus Limberger, responsible for the two production plants in Solms and Famalicão, were welcomed. "We are proud that the Leica company has such great confidence in the competence of the Portuguese people, "Portuguese president Aníbal António Cavaco Silva said in his opening speech. 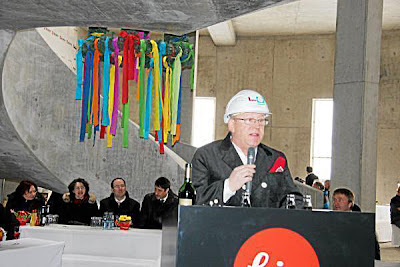 Dr. Andreas Kaufmann began by thanking all those involved in the construction and then emphasized the long tradition that combines Leica with the location of Vila Nova de Famalicão. "Many families in the region have found a professional home at Leica over generations. With its precision mechanical know-how our Portuguese colleagues have contributed significantly to the success story of Leica Camera. Construction of the new plant near the old site is a visible sign that Leica has also found a home here and is involved in the future for the people of this region." Leica CEO Markus Limberger, in view of four decades of cooperation, emphasized the close ties of the facilities in Solms and Vila Nova de Famalicão and the importance of investing in the area for the future: "The new, ultra-modern plant, next to our main factory in Solms, and from 2014 in Wetzlar, play a crucial and equal role for the company's success in the coming decades and will bring economic stability and continuity to the region in the long term." Leica Aparelhos Opticos Precisão de Portugal SA was founded in 1973. For the production of Leica products, this modern factory with its qualified employees has the same strategic importance for the Leica Company as the manufacturing facility in Solms. While maintaining uncompromising high quality standards and careful manufacturing, various Leica sports optics products, including the Compact Binoculars, and parts and assemblies for the current Leica lenses and system cameras are being made here. Leica now offers new products for precision shooting: the ER i line of riflescopes and the new CD i reticle. The illuminated dot lets hunters sight on their targets accurately, even in failing light. In contrast, the CD i reticle is constructed for fast and precise target acquisition on driven hunts and in bright daylight. 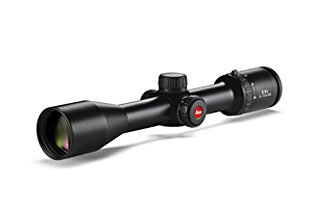 The Leica ER i 3-12 × 50 and ER i 2.5-10 × 42 riflescopes are distinguished by outstanding optical performance and robust mechanical properties. They are available with a choice of two different illuminated reticles. The high-performance ER i 3-12 × 50 riflescope features magnification factors up to 12× and thus provides the ideal preconditions for the precise placement of shots on long-distance targets. Available: innovative rapid reticle adjustment. Leica reticle CD i stands for Circle Dot Illuminated and describes the key feature of this new reticle especially for driven hunting. 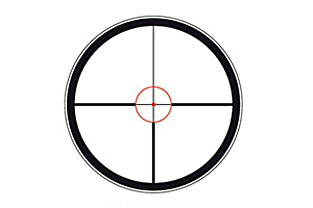 Here, a concentric ring is displayed around the post reticle in addition to the illuminated dot. This reticle allows particularly fast and intuitive target acquisition, particularly in brightly lit surroundings. The new reticle CD i is available for the rifle scopes 1-6.3 × 24 and the 1.5-10 × 42 models of the Leica Magnus line. 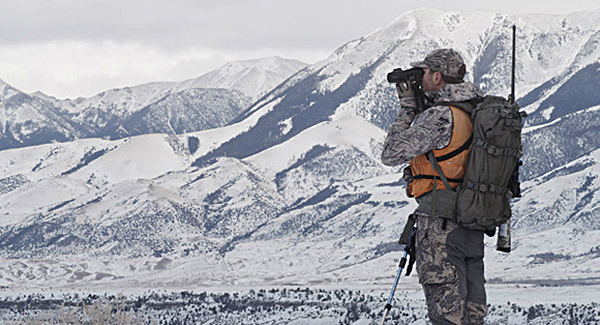 Experienced hunters demonstrate the advantages of the new rangefinding binoculars. Wetzlar. Dass das neue Leica-Firmengebäude in Wetzlar architektonisch Maßstäbe setzen wird, war schon aus dem Entwurf zu erkennen. Die Konturen des 55-Millionen-Projekts am Schanzenfeld, seit einigen Wochen gut zu erkennen, bestätigen dies voll und ganz. Zum Richtfest am Donnerstagmittag versammelten sich rund 350 Gäste in dem Bereich, der künftig Foyer ist. Neben den am Bau beteiligten Unternehmen und deren Mitarbeitern waren zahlreiche Gäste aus Wirtschaft und Politik anwesend, darunter Staatsminister Michael Boddenberg (CDU), hessischer Minister für Bundesangelegenheiten. Eingeladen hatte die Leica Camera AG zusammen mit der Leitz-Park GmbH, Bauherrin des neuen Firmengebäudes. Michael Boddenberg sowie Andreas Kaufmann, Aufsichtsratsvorsitzender der Leica Camera AG (rechts). Nach Jagdhornklängen und der Begrüßung durch den Leitz-Park-Geschäftsführer Wolfgang Kisselbach dankte Andreas Kaufmann, Geschäftsführer der ACM Projektentwicklung GmbH und Aufsichtsratsvorsitzender der Leica Camera AG, allen, die in die Planung und Umsetzung der neuen Firmenzentrale involviert sind. "Der Neubau geht mit großen Schritten voran und wird planmäßig bis November fertiggestellt sein. Der Umzug vom bisherigen Standort in Solms in den Leitz-Park soll noch Ende des Jahres starten." Bleibt es beim derzeitigen Zeitplan, dann haben bis zum Frühjahr nächsten Jahres alle Bereiche - von der Produktion über die Verwaltung bis hin zur Kundenbetreuung - mit den insgesamt rund 600 Mitarbeitern ihren Platz am neuen Firmenstandort eingenommen. Staatsminister Boddenberg gratulierte der Leica Camera AG zur Entscheidung, zum historischen Unternehmenssitz zurückzukehren. "Die Geschichte der Leica Camera AG war stets in besonderer Weise mit Wetzlar verbunden. Unternehmensleitung und Beschäftigte unterstreichen damit den besonderen Stellenwert, den Wetzlar für die gesamte optische Industrie in Deutschland und darüber hinaus einnimmt. Oberbürgermeister Wolfram Dette (FDP) lobte die Architektur des Gebäudes. Sie spiegele den innovativen Geist von Leica Camera wider.Von der unternehmerischen Tatkraft Kaufmanns profitiere Wetzlar in vielfacher Hinsicht. In der Stadt entstehen 600 hochqualifizierte Arbeitsplätze. Zudem erhalte sie an ihrer südlichen Grenze einen optisch äußerst reizvollen Eingang. 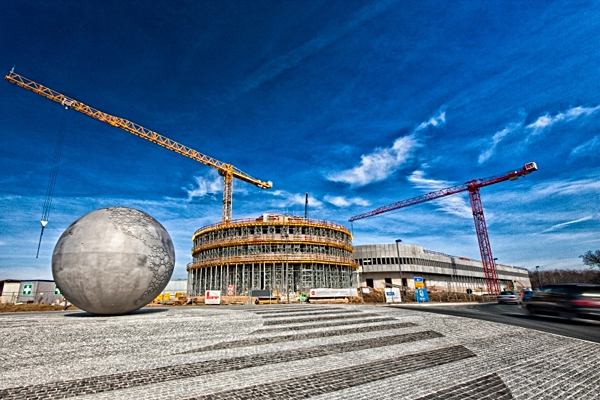 Mit dem Globus-Kunstwerk am Leitz-Kreisel habe das Unternehmen schon zum Hessentag im vergangenen Jahr ein vielfach beachtetes Zeichen gesetzt. Dem Grußwort von Vizelandrat Heinz Schreiber (Grüne) folgte das Lob von Alfred Schopf, Vorstandsvorsitzender der Leica Camera AG, an die vielen Bauarbeiter, die bei oft widrigen Witterungsbedingungen unermüdlich für ein nun geschlossenes Gebäude gesorgt haben. Zudem äußerte er einen Wunsch an die anwesenden Politiker. Gefragt sei eine Lösung an der Autobahnauffahrt Süd, um den Verkehr bei der An- und Abfahrt zum Betriebsgelände zu entzerren. "Leica erhält ein hochmodernes Fertigungs- und Verwaltungsgebäude, das alle Anforderungen an umweltfreundliche Standards mehr als erfüllt", sagte Schopf. Man unterschreite entsprechende gesetzliche Anforderungen um 30 Prozent. Das neue Firmengebäude wird eine einzigartige Erlebniswelt darstellen, die Besuchern und Foto-Enthusiasten aus aller Welt wertvolle Einblicke in die Vergangenheit, die Gegenwart und die Zukunft der Fotografie ermöglicht. Frei einsehbare Fertigungsbereiche, ein Leica-Museum, eine Leica-Galerie sowie ein Store, ein Fotostudio und ein Restaurant ergänzen das Angebot. Architekt Helmut Kleine-Kraneburg lobte die hochwertige Umsetzung der Pläne. Der Anspruch seines Teams, die hohe Qualität der Leica-Produkte durch die Architektur auszudrücken, könne so erreicht werden. Mit dem Richtspruch von Zimmermeister Wolfgang Kupcyk ("Das Gebäude ist ein Meisterstück") endete das offizielle Richtfest. Leica Camera shares the passion for photography with many people around the world. It is the fascination of capturing a decisive moment and the creative act of preserving it in a unique image. Come discover Leica at the new Leica Store Miami and embark on a unique photographic experience. Magnum Miami Lectures: "Postcards from America"
On March 22nd and March 23rd, come see two renowned Magnum photographers, Alessandra Sanguinetti and Bruce Gilden speak about their work, perspective, and experiences photographing for Magnum and being a part of the Postcards from America photographic series. Light refreshments will be served, followed by book signings. for anyone with a passion for photography in its purest form. We will explore Leica compact cameras including the X2, D-Lux 6 and V-Lux 4, putting these powerful compact cameras to the test in real-world shooting situations. Don't forget to bring your own SD cards! for a "Test Drive" and discover the capabilities and perspective that have made Leica rangefinders legendary. (305) 921-4433 to make a reservation. Don't forget to bring your own SD cards! In the Gallery: Magnum Photos: "Postcards from America"
The exhibition features a group of images from eleven photographers who gathered in Florida to photograph a number of common themes during eight weeks surrounding the 2012 election. Hours: Monday - Saturday 10AM - 6PM. The extravagant miniaturized MINOX DCC has long become one of the world’s coveted classics. 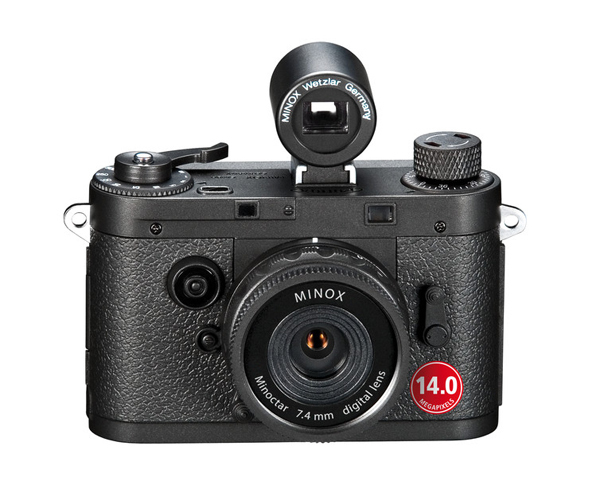 With the new Digital Classic Camera 14.0, MINOX now presents a 14 megapixel edition of this classic. 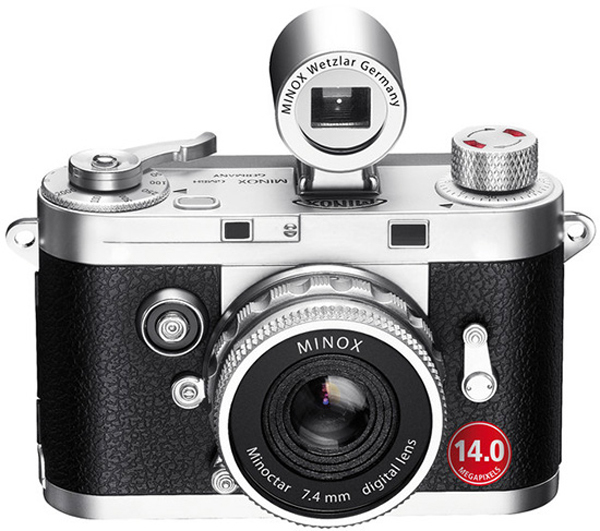 Designed in fascinating detail and with a sophisticated stylish format the new Digital Classic Camera MINOX DCC 14.0 is a true example of first-class German engineering from the fifties. Devotees of timeless elegance and precision mechanics will find it hard to resist the amazing look and feel of the camera. This small ingenious masterpiece in a scale of 1:3 is no ordinary digital camera and quietly reflects its owner’s confidence in style. Besides the usual accessories like cases, straps etc., Minox offers two interesting items, a wide angle and a tele converter, both of which are added to the front of the fixed lens of the camera. 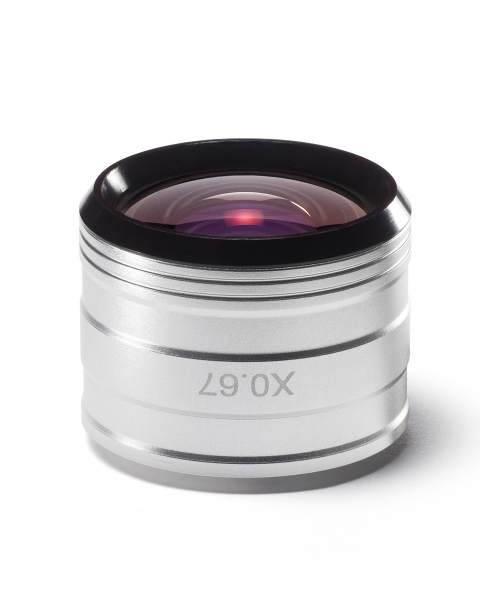 The wide angle converter widens the field of view by 0.67 times, decreasing the focal length from 42mm to 28mm. 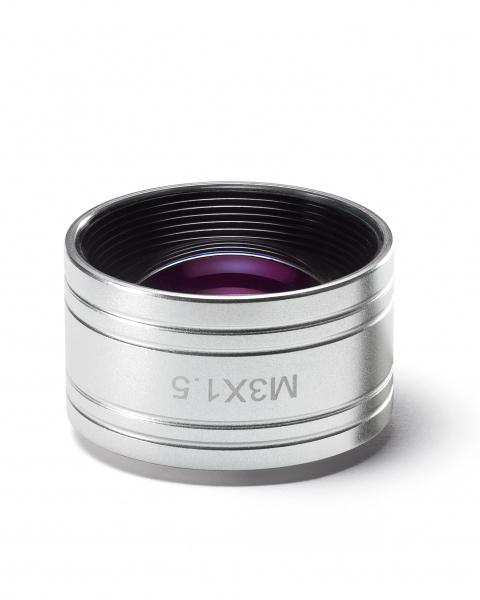 The the tele converter increases the focal length by 1.5 times from 42mm to 63mm. Weight 113.5 g / 4 oz. To those who have received their Leica M, congratulations. 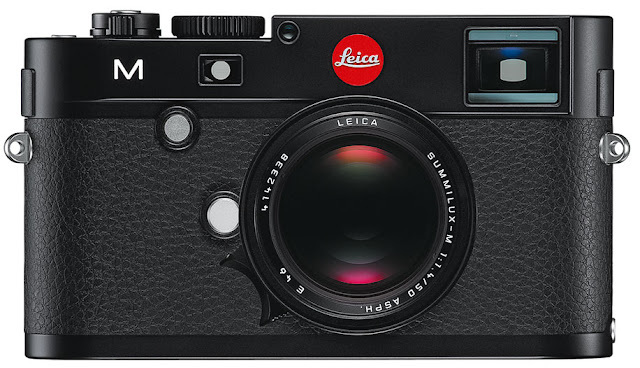 For those that are still waiting or contemplating the purchase of a new Leica M, here is a video about the first impressions of the Leica M, starting with unpacking the just arrived camera. For the most part, panorama images used to be quite labor intensive. However with the advent of Photoshop, this has become relatively easy to do. I found that even a tripod is not an absolute necessity. Photoshop will even out some of the imperfections that naturally enter the equation when doing a panorama shoot hand-held. Of course one should hold the camera as steady as possible and, this is important, make sure that there is sufficient overlap from one exposure to the next. All of the examples here were shot hand held. 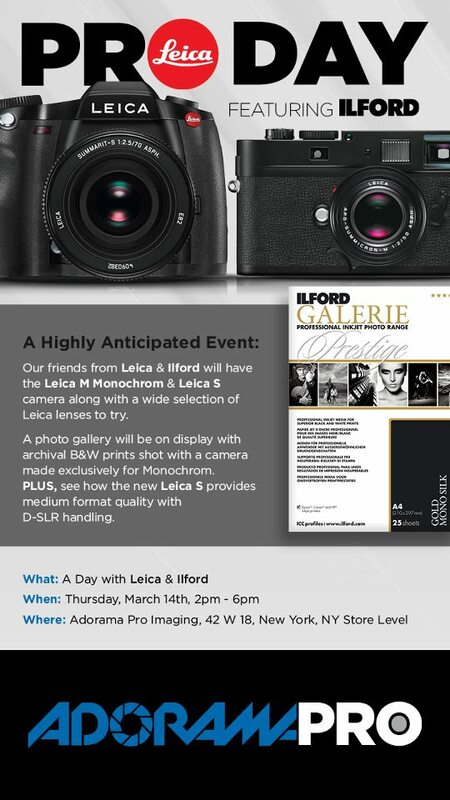 A pro day with Leica Camera and Ilford Imaging will be held on Thursday, March 14 from 2:00 - 6:00 p.m. at Adorama Pro Imaging. The Leica M Monochrom and Leica S cameras as well as lenses will be on hand and available to try. The complete offer can be found in the WestLicht on-line catalogue, which will be available 4 weeks prior to the auction. Unique outfit of an original Leitz gold plated 'Luxus' camera with brown lizard leather covering and 2 gold plated lenses (Summar 2/5cm no.190131, Elmar 3.5/3.5cm no.182545). It comes from the estate of the famous German producer of sparkling wine Karl Henkell (Henkell Trocken) who used the camera until 1944, then it went to his son Otto Henkell who passed it on to his eldest son and present owner Hans Henkell. The camera is well documented in the Leitz archive. 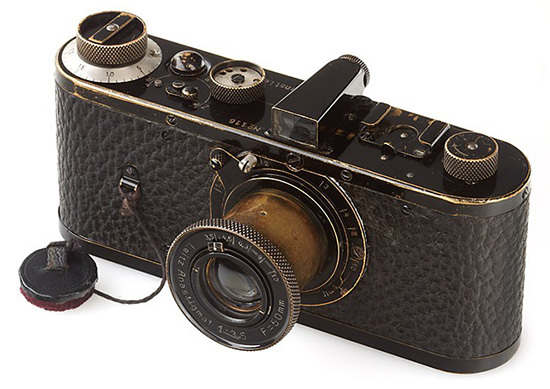 It was originally delivered on February 11th, 1931 to Besier Wiesbaden as a Luxus (gold plated) Ic non standard outfit with 4 lenses, it came back to Leitz on April 30th, 1931 for repair and was converted to a Leica II Luxus on May 2nd, 1932, on December 21st, 1933 it was updated to a Leica III Luxus. A copy of a photograph showing Karl Henkell in October 1933 with his (still) Leica II Luxus is included. 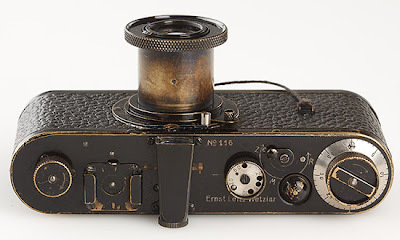 The Summar 2/5cm no.190131 was delivered on December 28th, 1933 to Foto Tauber, Wiesbaden as gold plated Sumuskup, the date is very close to the last conversion into Leica III, so WestLicht believes that the camera and the Summar were delivered together on December 28th, 1933. The Elmar 3.5cm was delivered as a sample lens to a Leitz representative (Barsing, Reise) in 1934 and went back to factory in January 1938. WestLicht thinks that this lens was then used for being gold plated and acquired by Karl Henkell. 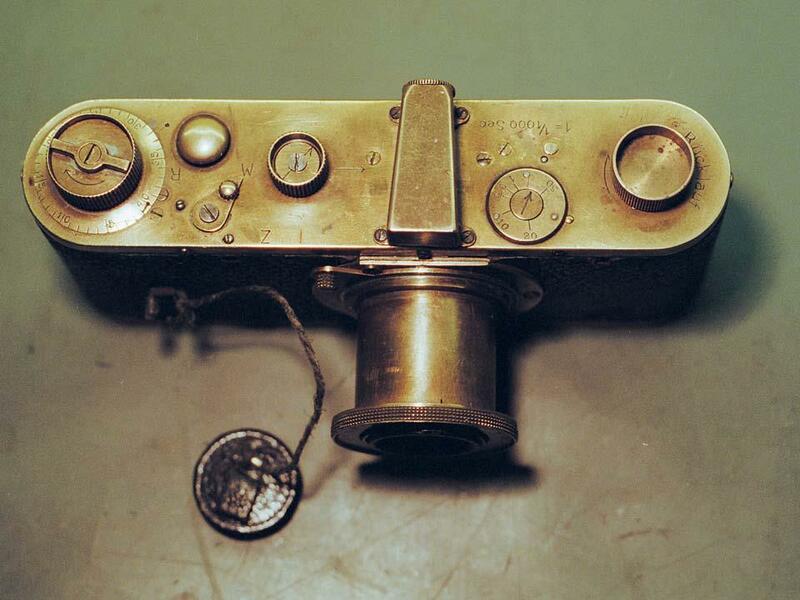 Only 100 cameras with special black painted Elmar 3.5/5cm were manufactured for the Swedish military in 1956. They were winterized to enable them to function in Arctic conditions. This camera is in 100% mint original, never restored condition with matching black Elmar 3.5/5cm no.1427110. The IIIf black is not only one of the top collectors items, but also one of the most attractive military Leica cameras ever! Extremely rare M3 prototype (pre-series, produced as test cameras in 1952/53). 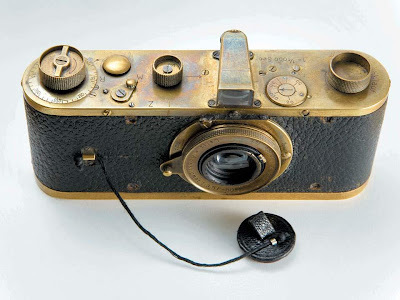 The camera is in beautiful and perfect working condition with original features including film advance lever, external frame counter, early speed dial, shape of selftimer, backdoor with film marker punch and ceramic pressure plate (see Lager I, p.173-175). With matching dual-lever prototype Summicron 2/5cm no.920060 (same '0060' number as the body) in perfect condition (early cap). Rare opportunity to acquire one of the most important cameras in Leica's history in fantastic condition, the camera was never offered in auction before. M3 Summaron with prototype serial number '0000117', in near mint condition, engraving is different to later lenses, black painted goggles with condenser logo (caps), this particular lens is illustrated in Paul-Henry van Hasbroeck 'A History Illustrating every Model and Accessory' on p.157, lenses nos.0000118 & 0000119 are illustrated in Paul-Henry van Hasbroeck 'Leica in Colour' p.66&127 - ex Paul-Henry van Hasbroeck collection.